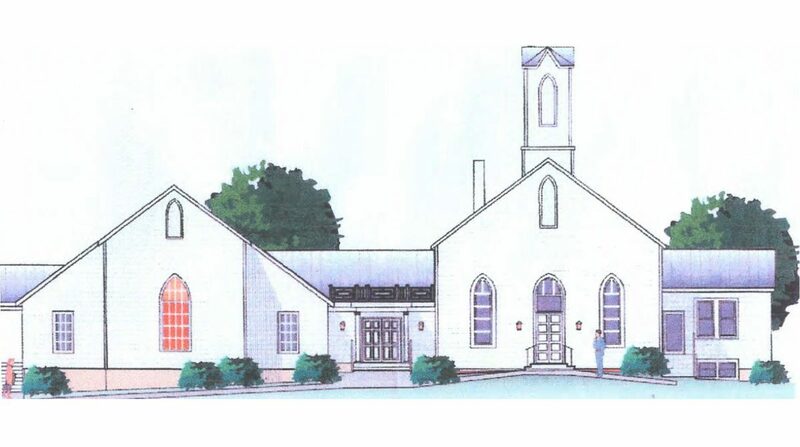 Greenville Baptist Church – Miller Cupp Associates, Architects, P.C. Located in the town of Greenville in southern Augusta County, this recently completed addition was designed to meet critical space needs and compliment the simple rural character of the existing structure. 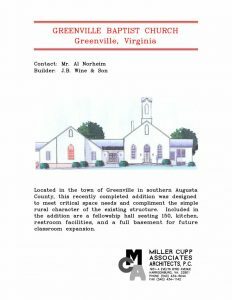 Included in the addition are a fellowship hall seating 150, kitchen, restroom facilities, and a full basement for future classroom expansion.